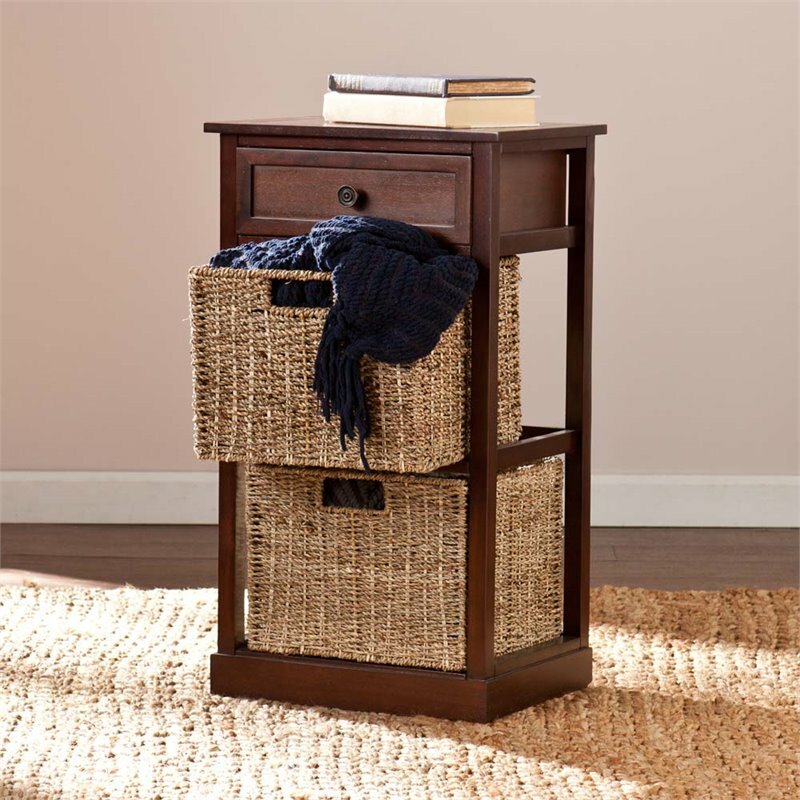 Home organization is a breeze with this space-saving storage shelf. 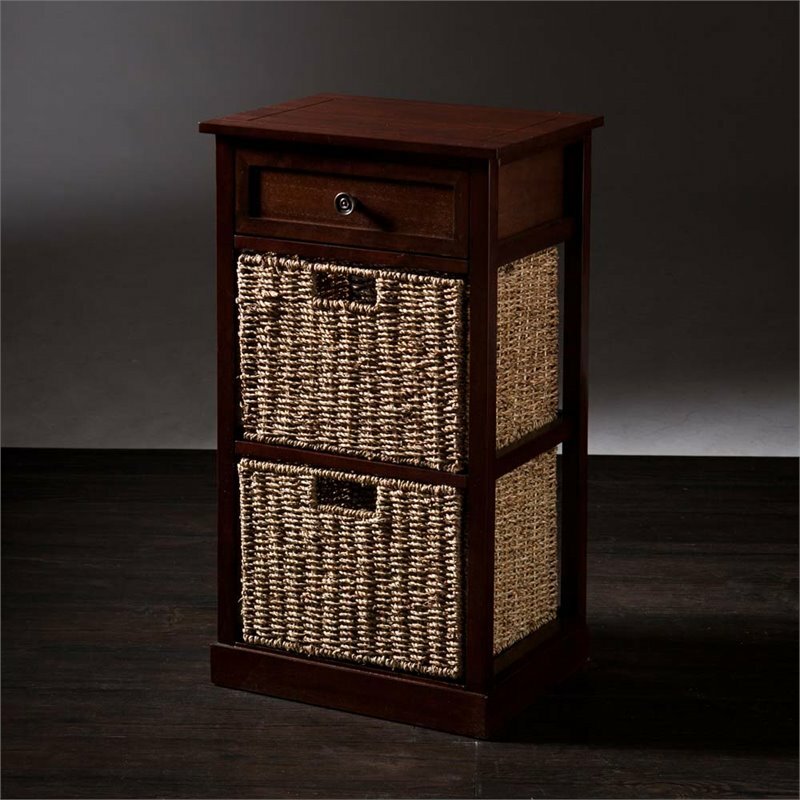 Natural seagrass baskets offer coastal appeal paired with mahogany finish open sides for a refreshing look. 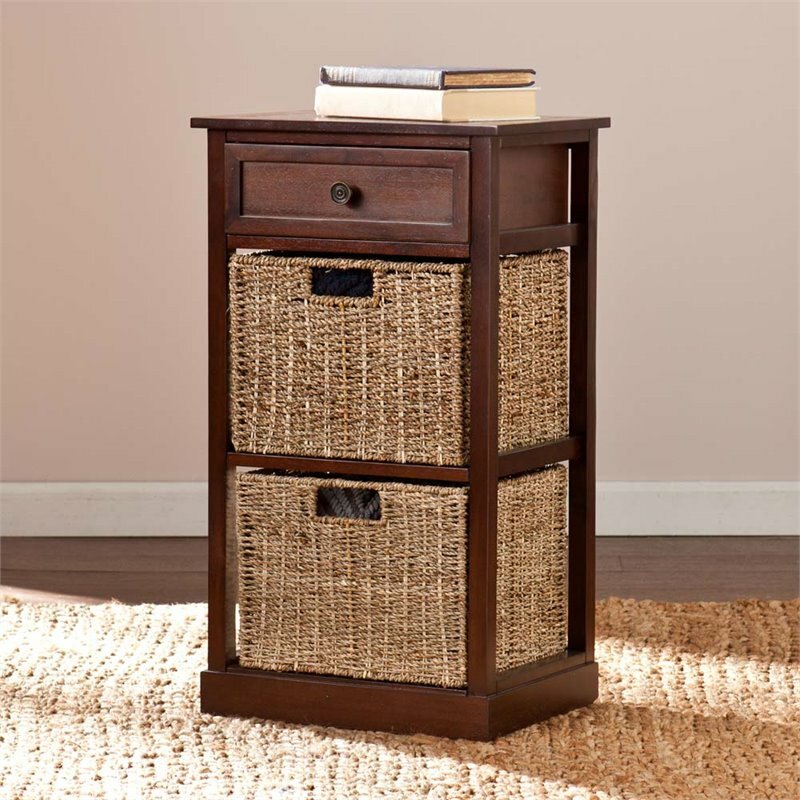 Stacked below a spacious drawer two removable baskets allow you to carry contents where needed. 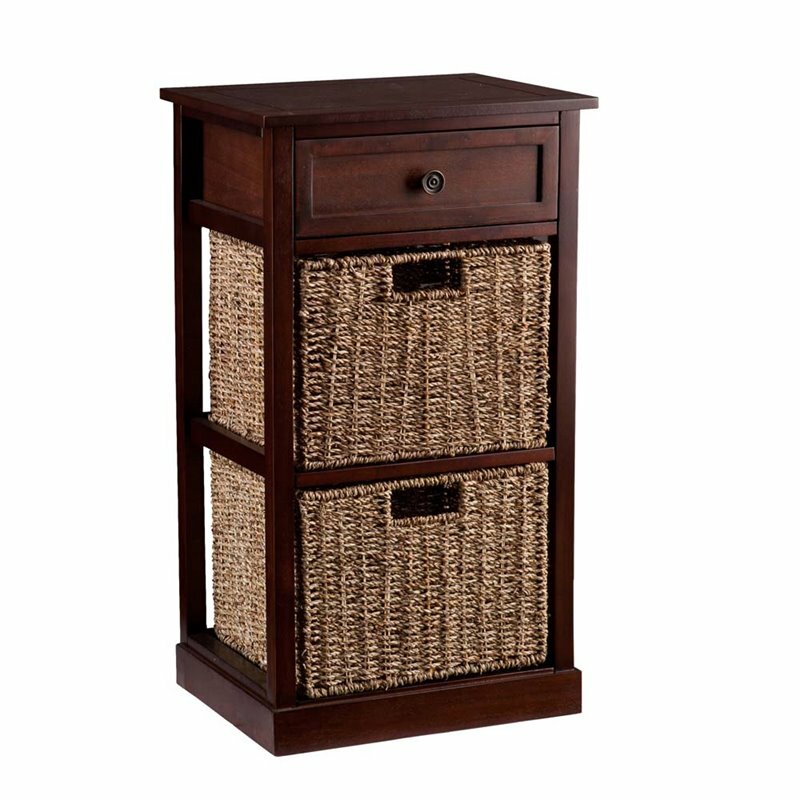 Perfect for stashing away throw blankets everyday items and accessories linens and towels clothes or crafts. 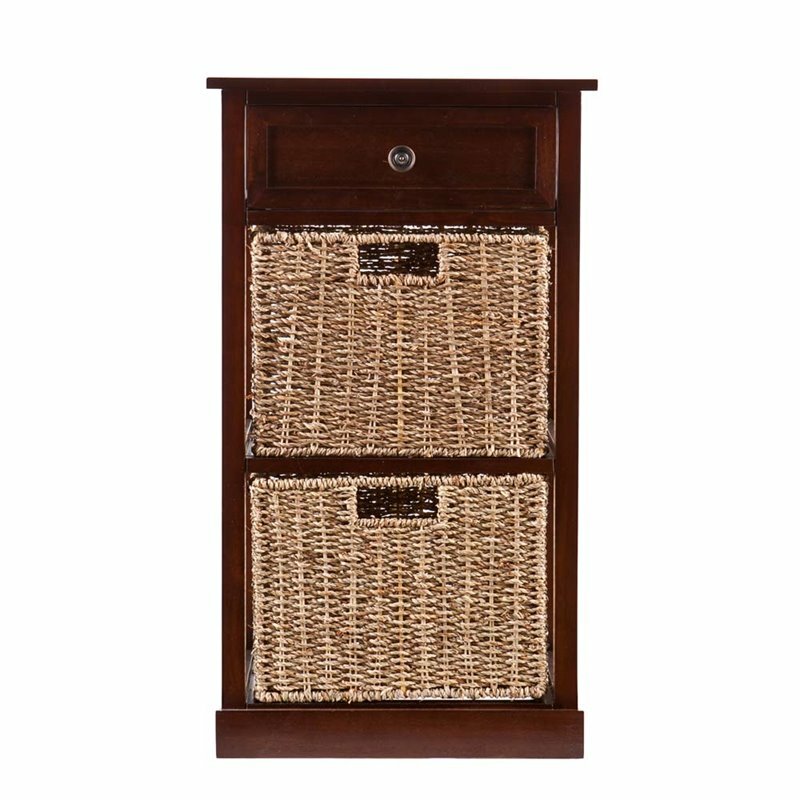 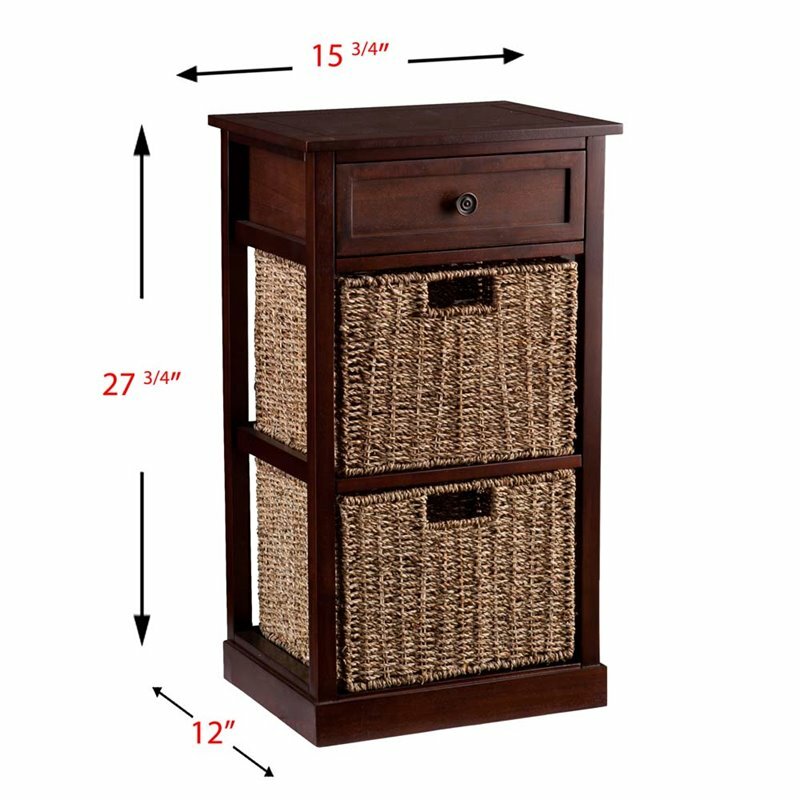 Versatile style makes this a compact storage solution fit for any room.